As most of you know, in 1990 I was involved in an all- terrain vehicle (ATV) accident that catastrophically injured my 5th and 6th cervical vertebrae, leaving me paralyzed from the chest down. 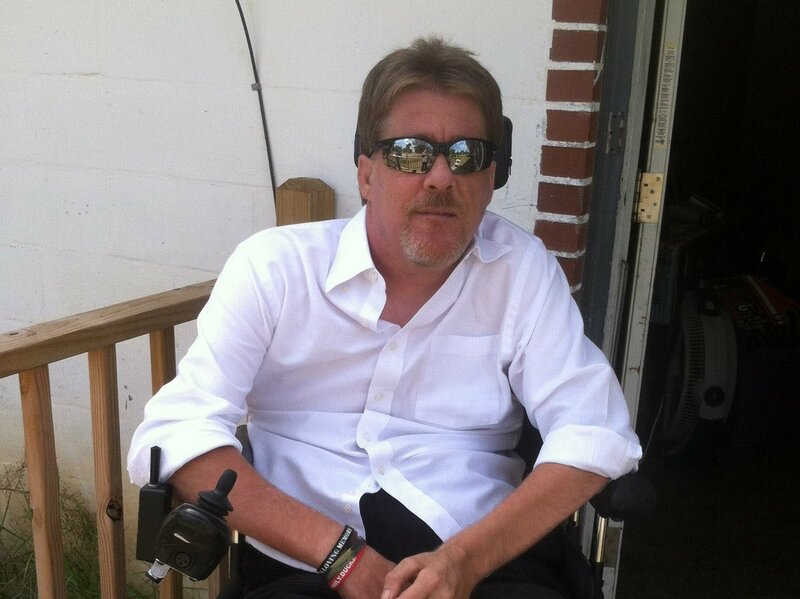 Living with a spinal cord injury presents many challenges. I have created a full life, am a father, grandfather, involved in the community and a good friend to many. I feel very fortunate to live in the community where so many of you have been supportive since my accident. Unfortunately, I am not able to work and one of my biggest challenge is a large financial burden. Even with Medicaid and Medicare, I have many expenses related to my injury that are not covered and I must pay out of pocket. 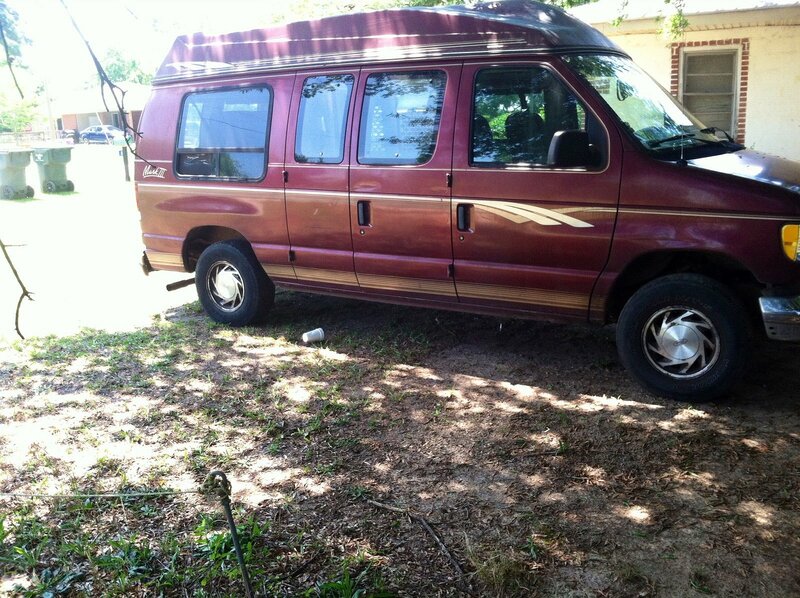 Currently I am hoping to raise money to pay for a specially equipped van to replace my 21-year old, 1995 Ford van. My immediate goal is to raise enough funds to purchase a less than 5- year-old, used, specially equipped minivan for approximately $36,000. I already have a $9,000 grant through the Brain and Spinal Trust Fund Commission (www.ciclt.net to go toward the van. This is where I need to ask for your help. To help with this financial burden, a fundraising campaign in my honor has been established with Help Hope Live, a trusted nonprofit organization that has been providing community-based fundraising guidance to patients and their families for more than 30 years. All donations are tax-deductible to the full extent allowed by law, are held by Help Hope Live in the Southeast Catastrophic Injury Fund, and are administered by Help Hope Live for injury-related expenses only. Please consider making a contribution. For the last 6 months, I conducted a successful fundraising campaign with HelpHOPELive. With a Facebook campaign, a raffle, and a donation jar campaign, we raised $14,456. 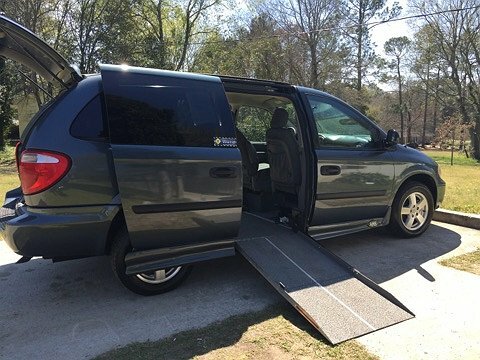 Using those funds and an existing $9,000 grant I had through the Brain and Spinal Trust Fund Commission, I was able to purchase a wheelchair accessable, 2007 Dodge Grand Caravan with 32K miles. On Friday, March 17, 2017, my new van was delivered to my house, paid in full, and with the title in my name. I want to express my deep appreciation to everyone who contributed any amount (large and small). I want to thank all the businesses, churches, and organizations that supported me, and especially Mr. Bo Barrow for his donation of the grand prize for the raffle. Every donation made was important and you all have my eternal gratitude. I simply could not have done it without you. Remember donations in my honor to Help HOPE Live are tax-deductible to the extent allowed by law, so don’t forget to remember when you are doing your taxes. – Chief Deputy with Taylor County Sheriff’s Office Tommy Fowler (Ruger American 30.06). I want to Thank everyone who has purchased a ticket. I would really like to Thank Mr Bo Barrow owner of Barrow Guns for donating the rifle. I’d like to sincerely thank Johnny Barrow, Stan Jarrell, Gwynn Childree’s, Shirley Dunn, Heath Holly and Tony Harbuck for their gracious help in selling the tickets. Jerry, I'm so excited for you! God is good...all the time! So glad to be able to help, Jerry! (You know me as Gena Nelson; I'm Williams now.) Always in your corner! I'm in your corner Bro, love you and hoping for generous hearts to respond! God Bless! Praying this goal will be met. I love you!! I love you Jerry. I believe this goal will be met. Hoping you can raise the funds for a new van, Jerry!